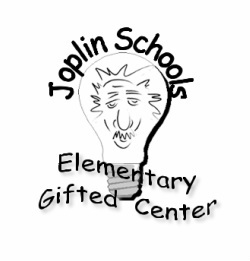 It's time to design this year's T-shirt for the elementary gifted center. Informational flyers went home the first week your child attended Gifted. If your child would like to enter our contest to design the back of the gifted t-shirt for 2014/2015, you will need to turn in your design to your gifted teacher by Friday, September 19th or before on your child's gifted day. Rules: Please draw design on a 8 1/2 by 11 white piece of paper. You will need to draw this with pencil and trace over your design with a black sharpie - this allows the design company to be able to make a digital image from the creation. It is better not to have too many details on your design in order for it to be clearly seen on the back of a shirt. After narrowing down the designs, the students will be voting on a winning design the following week. Watch for t-shirt order forms to be going out soon! These shirts, sweatshirts etc. are fun to wear on Gifted days and they also make nice holiday gifts!